Bihar Vidhan Sabha Result 2019: Below are the latest results published by Bihar Vidhan Sabha - Bihar Legislative Assembly / vidhansabha.bih.nic.in. The recent result announced by the organization is Junior Clerk 2018 Final Result 2019. 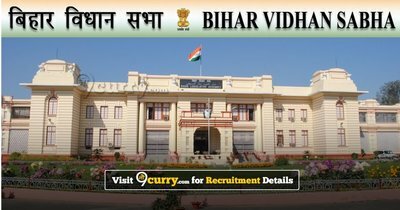 Bihar Vidhan Sabha Junior Clerk 2018 Final Result 2019: Bihar Legislative Assembly has announced the Result on 28 Feb 2019 for the exam . Bihar Vidhan Sabha Assistant and Other Post Result 2019: Bihar Legislative Assembly has announced the Result on 14 Feb 2019 for the exam . Bihar Vidhan Sabha Group D Result with Score Card 2019: Bihar Legislative Assembly has announced the Result on 24 Jan 2019 for Bihar Legislative Assembly Group D Exam 2018 .